This is pretty clever. 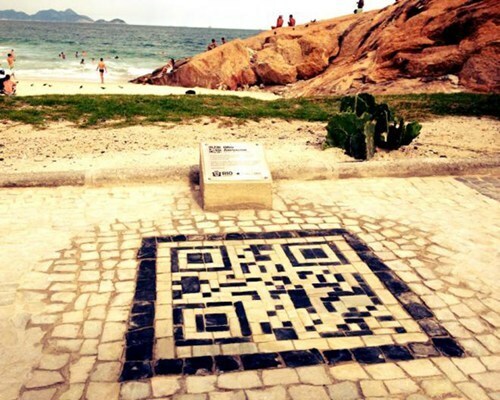 The city planners of Rio De Jeneiro are embedding QR codes into 30 of the city's traditional mosaic sidewalks near beaches, vistas and landmarks so tourists can learn more about the amazing city it is. Kinda like what was done in Braamfontein a few months go by Liam Lynch and Lebo Rasethaba. Just saying.